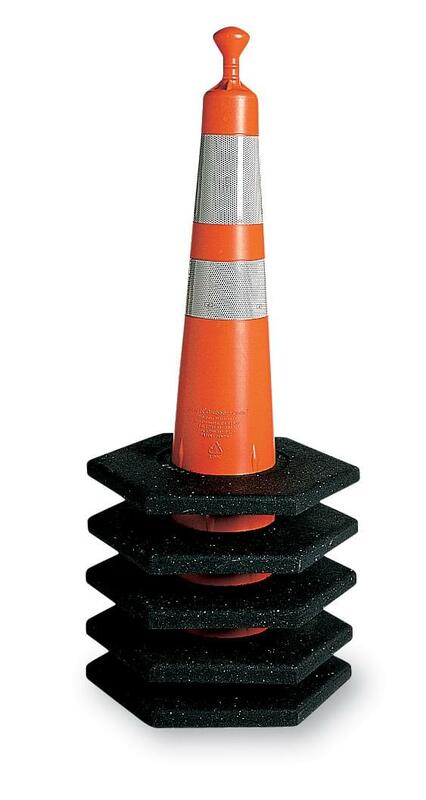 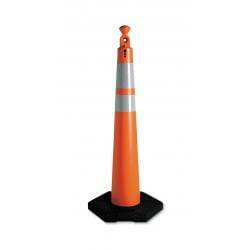 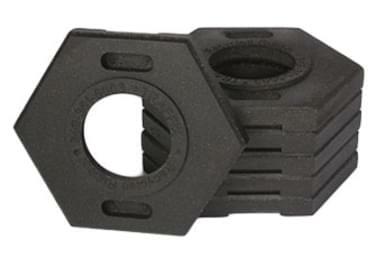 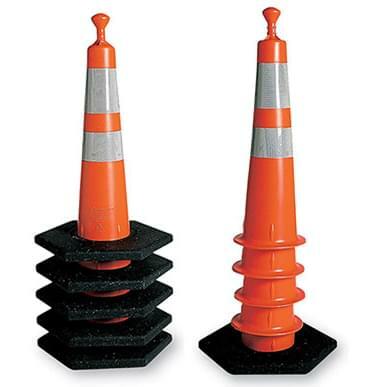 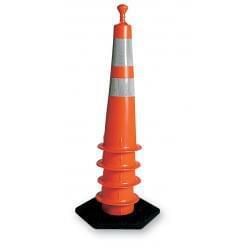 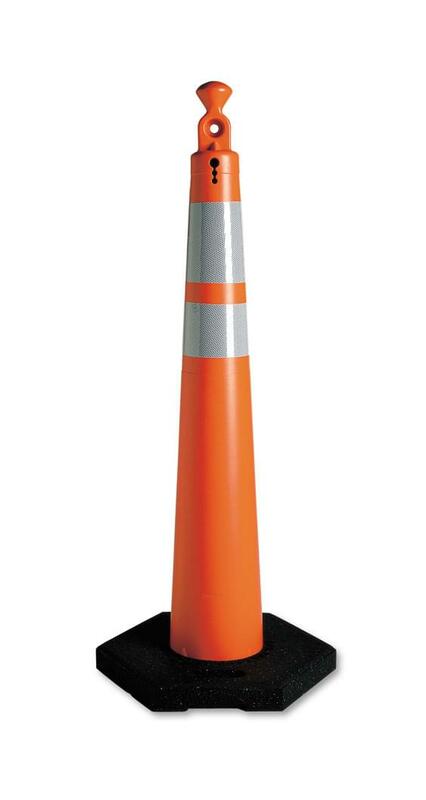 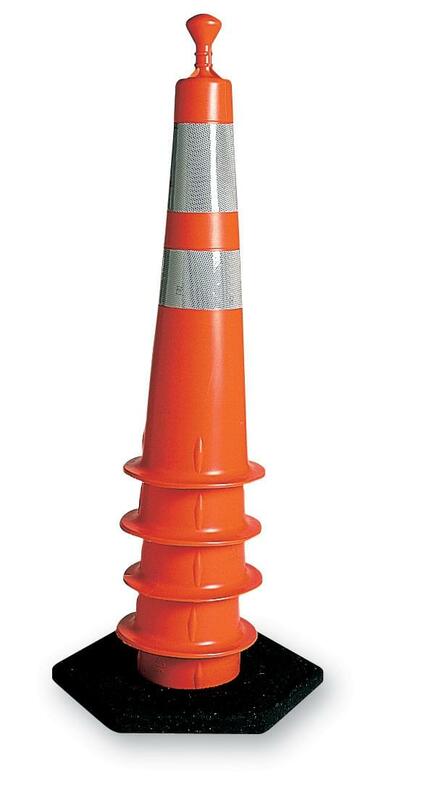 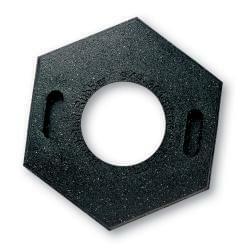 TrafFix Grabber-Cones come in 28" and 42" heights and are ballasted by 10, 16, or 30 lb. 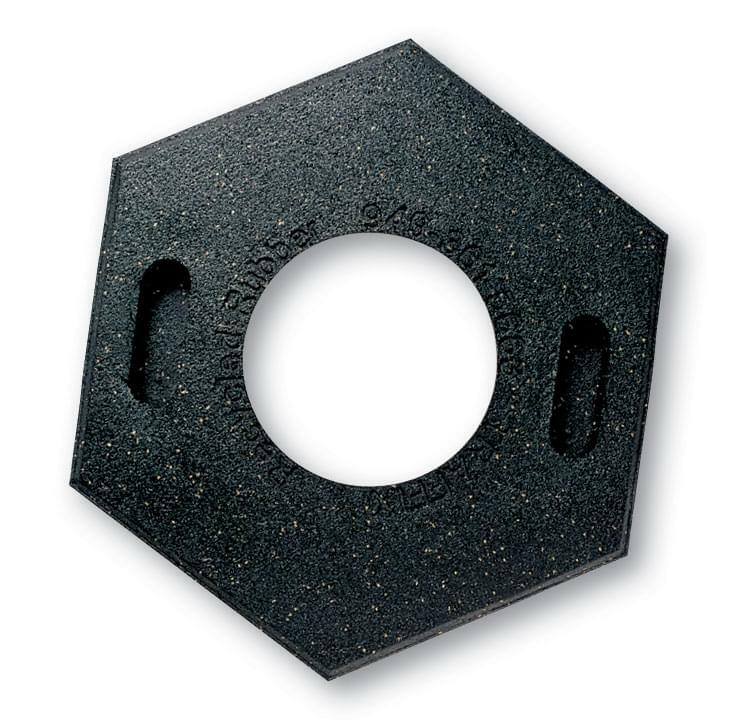 Recycled Rubber Bases. 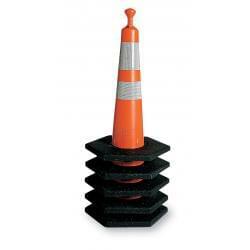 Simply drop the Recycled Rubber Base over the cone stem and you're ready to go to work.